Plastics industry body Plastics|SA is calling on the industry to work towards achieving the goal of zero pellet, flake and powder loss. This drive forms part of the industry’s efforts to keep South Africa’s water sources free of plastic pollution. Plastics|SA Director, Anton Hanekom, says reducing the amount of plastics that make their way into streams, rivers and the ocean is one of the biggest focus areas for the plastics industry worldwide today. “When we re-launched Operation Clean Sweep in South Africa as one of our product stewardship programmes last year, our call went out to every segment of the plastics industry, including plastic producers, transporters, bulk terminal operators, recyclers and plastics processors, to implement good housekeeping practices,” he explains. Pellet, flake and powder loss has many negative impacts on individual companies, the plastics industry as a whole and on the environment. Not only do pellet, flake and powder, spills cause accidents in the industry like slips and falls, but once spilled they can end up in waterways and the ocean if they are casually swept into storm drains instead of properly cleaned up and discarded. 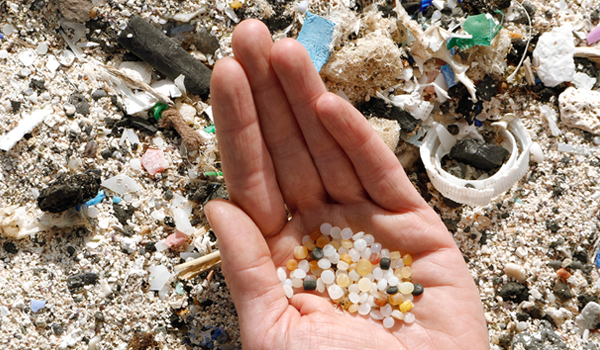 “All employees in every aspect of the industry must be educated on how to properly handle and dispose of plastic pellets with the goal of zero pellet loss. Every staff member has a role to play in eliminating plastic pellets, flake and powder loss,” Hanekom says. “It’s the little things that count – a few pellets, flakes and powder here, a handful there. They all add up when you consider the thousands of facilities in the plastics industry and the frequency with which plastic pellets, flakes and powder are loaded and unloaded,” Hanekom stresses. While consumers are responsible for the proper recycling and disposal of used consumer products and packaging, Plastics|SA agrees that the plastics industry is among others responsible for proper containment of plastic pellets, flakes and powder. “The impacts of ingested marine debris can be significant and warrants efforts to prevent plastic materials from entering the environment, he concludes.